US 20-year-old player Sofia Kenin reached her first WTA singles Final at the WTA International tournament in Hobart after beating 2016 champion and number 6 seed Alizé Cornet 6-4 6-2 after 1 hour and 19 minutes in the semifinal. 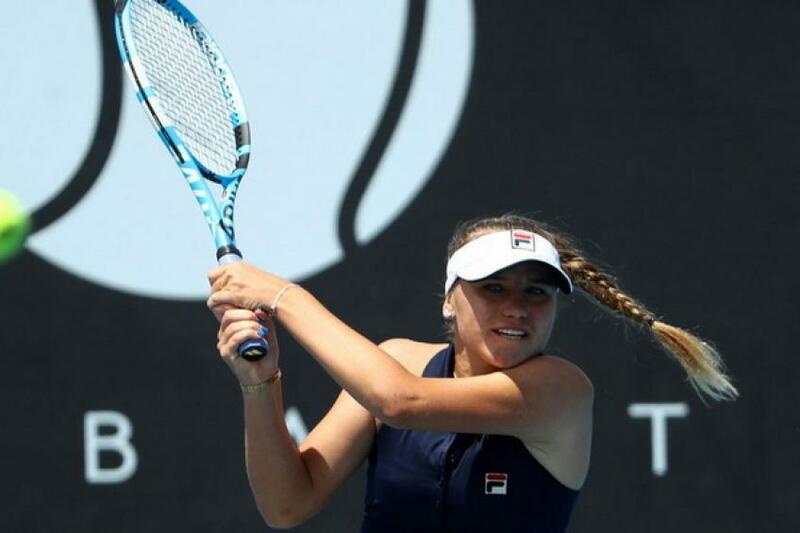 Sofia Kenin qualified for her maiden WTA singles final in Hobart confirming her recent good form one week after claiming her maiden doubles title in Auckland with her Canadian partner Eugenie Bouchard. Kenin, who was playing her third semifinal after Mallorca and Quebec in 2018, came back from one break down in the second set to beat Cornet 6-4 6-2. The young US player converted four of her seven break points and dropped her serve only once. Cornet, who beat Kenin 6-1 6-3 in their only previous head-to-to-head match in Cincinnati qualifying round last summer, dropped her serve in the third game after hitting two double faults. The French player did not convert two break points in the sixth game. Kenin broke serve with a smash winner and served out the first set with a running forehand winner in the eighth game. Cornet got an early break in the second game of the second set to open up a 3-0 lead. Kenin played a great return game in the fourth game to break back for 1-3. Kenin got another break in the seventh game and fired a backhand cross court winner to take a 5-3 lead. She served out the match in with a service winner at 5-4 setting up a final against 24-year-old Slovakian player Anna Karolina Schmiedlova, who battled past Belinda Bencic 7-6 (7-2) 4-6 6-2 after 2 hours and 30 minutes in a match featuring 23 break points. Both players traded breaks four times in five games. Schmiedlova opened up a 4-2 lead, but Bencic reeled off three consecutive games to take a 5-4 lead thanks to a double break in the seventh and ninth games. Schmiedlova broke serve at love, while Bencic was serving for the set at 5-4. Schmiedlova won the tie-break 7-2. Bencic went up a double break to race out to a 5-1 lead. Schmiedlova pulled both breaks back to 4-5, but Bencic got another break in the 10th game to win the second set 6-4 forcing the match to the third set. Schmiedlova bounced back by breaking serve twice in the fifth and seventh games to open up a 5-2 lead and served out the hard-fought match with a hold at 15. “It feels so amazing to be in the final here. I still can’t believe it, because I was not expecting this at all. It was especially tough against Belinda. I have known her since I was a child. We practice together sometimes and she is a really good friend of mine. So it was not an easy match. 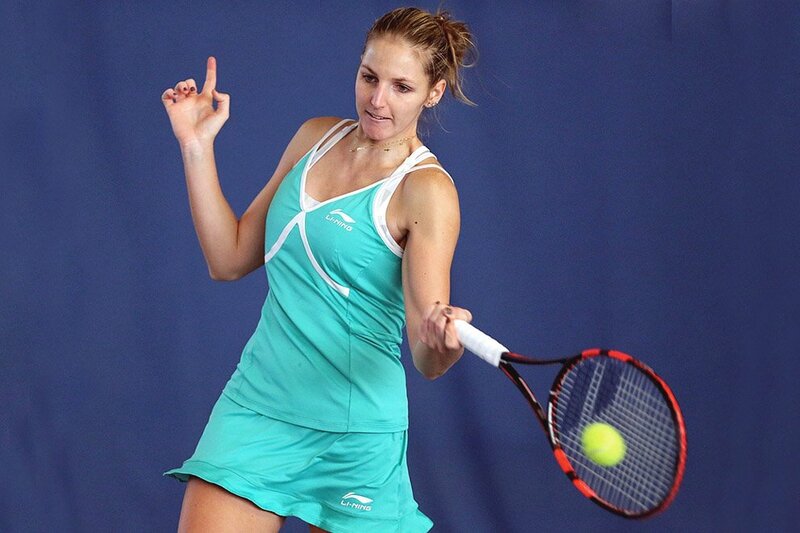 She is a great player, but it’s a really great feeling the way I played”,said Schmiedlova.